For some breakfast independence and honestly who doesn't want and extra 20 minutes snuggling their pillow in the morning on occasion(think Saturday mornings)..this idea has worked fabulously for us. 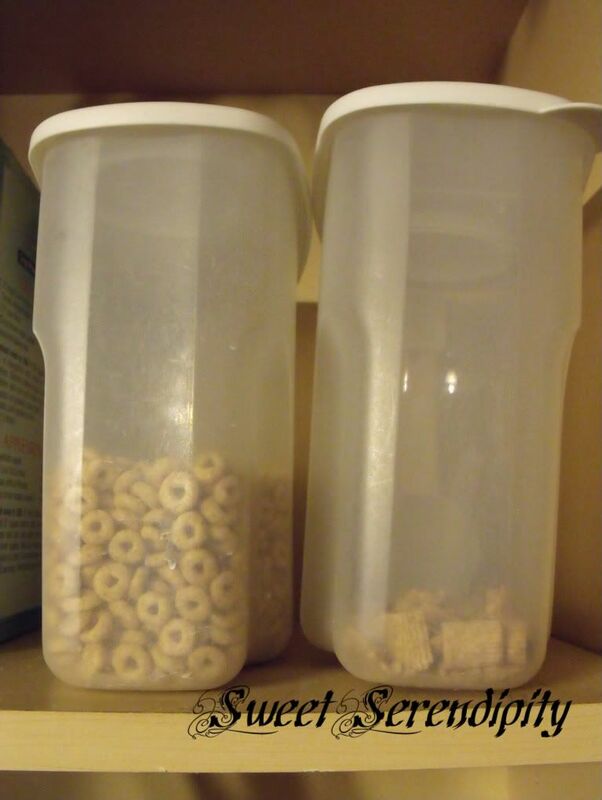 Take some cereal containers(like the ones below) or any plastic airtight container you have available. Most cereals are 1 Cup servings and so I taught my children that they can have 2 scoops. My children have not liked milk on their cereal so I never had the issue of them not being able to pour milk until recently. One of my little darlings loves milk on his cereal now. He used to be so frustrated that he couldn't pour his own milk and he certainly didn't want his mothering older sister to help him he wanted to do it himself. I came up with this as a solution: I have a water bottle with a pull top lid full of milk in the fridge for him to be able to squirt on his own milk and because it has a pull top no lost milk jug lid!!! They have fruit for breakfast too and you can refer here for how I make their fruit available for them and here to see where there bowl and spoons are located so they CAN do it!!!. Great ideas! I'm going to save these for when my independent WeeMan starts wanting to get his own breakfast. I love this idea! My kiddo is almost 6 now. She gets out her own bowl and spoon, but this would be a great way for her to help even more. Thanks for sharing! I love and am absolutely implementing this! Great ideas! Thanks for linking to Home Decor and Organizing Link Party. I'll be featuring this. 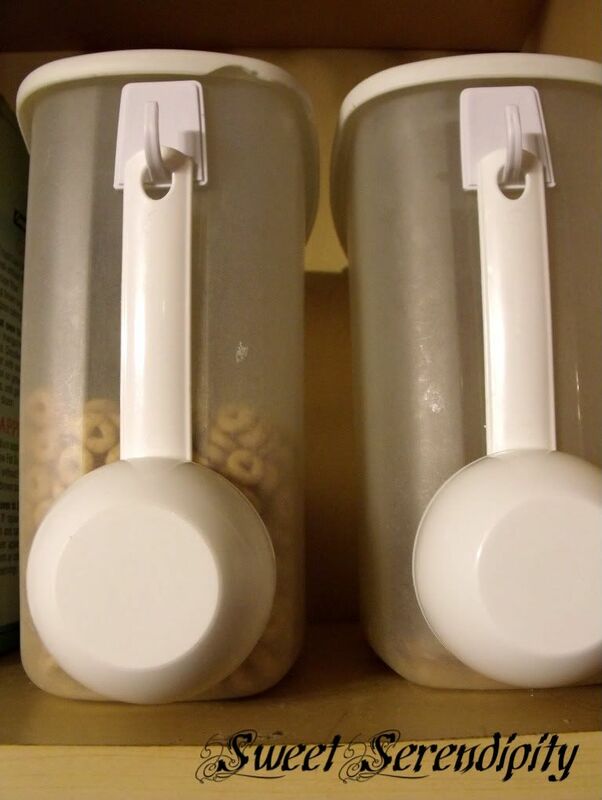 I think this idea useing measuring cups on the side of cereal containers would work great for other staples too. The only problem is finding just measuring cups in the same size. Do you know where I could get measuring cups all in the same size if I needed about six of them?